RUSH: We have Andy. He's 24-years-old from Buford, Georgia. Andy, I'm glad you waited. It's your turn. Make it count. CALLER: Thank you, Rush. It's a pleasure to talk to you. I just wanted to talk about how I've been successful in converting liberals and socialists before into conservatives, especially from the Millennial age group. RUSH: You what? 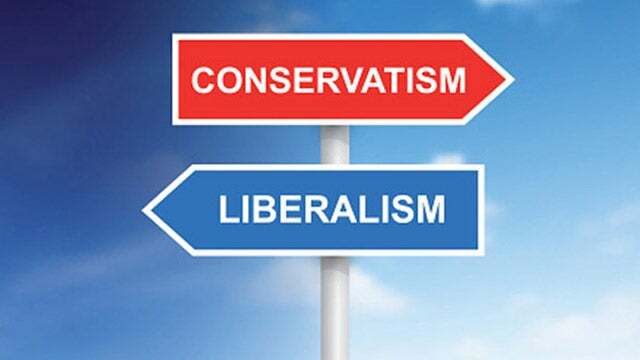 You've been successful in converting leftist Millennials to conservatives? CALLER: Yes, I have, and I've actually figured out a method in doing it, and I'd like to share it with you. RUSH: No kidding. Wait, and these are fellow -- like you're 24, and these people are the same age as you? RUSH: College as well. Cool. Okay. I'm intrigued. So many people would love to know how to do this and they've turned to me for advice. You know, I've got my own theories, but how have you done it? RUSH: Okay. Let's do this using an issue. Give me an issue that you -- now, we've only got 30 seconds here; so I'll have to hold you through the break. But get started. Give me an issue that you have succeeded in changing some people's minds on. RUSH: Okay. That socialism works, that that kind of thinking leads to prosperity. You have convinced them that's not true? RUSH: Okay. We've got 24-year-old Andy on the phone with us from Buford, Georgia. He is a college student, and he says that he has been successful in converting Millennials away from liberalism, socialism to conservatism by approaching them emotionally rather than rationally and intellectually. And the example I asked him to give, he's been able to convince them their belief that socialism -- which means taking from the rich and the government redistributing for fairness and equality so that everybody has a lot of money -- is bogus and doesn't work. Two things. How do you do this, give me an example of how you approach emotionally, and how long does it take you? How long do you have to stick with them before this actually happens? CALLER: All right. So I'll say, about how long it takes, it will usually take at least about six months. It's a long process. RUSH: I have heard of the random college professor -- and this is indeed random -- who's tried to do your theory using grades. He's told the class that, "You know, the last test was really good. About 10% of you got A's, another 20% of you got B's, but the rest of the people got C's and D's. And so, to spread this around, those of you who got A's I'm switching you to C's and I'm giving part of your grade to the people that flunked. And those of you who got B's I'm taking a little bit away from you so that some who got D's got C's. And when I finish, everybody in here is gonna get a C. Are we okay with this?" And of course they scream and holler in protest saying, "You can't do that." But it doesn't change their minds about socialism in general. They still vote Democrat even though they've had it explained. But that only happens one time. You're saying you have to stick with them six months on this. CALLER: So one thing that you can't do is you can't bring shock into their systems with it. You have to make it to where it's acceptable. You can't do it all at once, you can't do it all of a sudden. I learned that they'll just shut you out if you do that. RUSH: You can't do a shock. What do you mean by shock? RUSH: Oh. I see. So that failed because that was a shock, that there was no way that they were gonna agree with that anyway to give up their grades and so the whole exercise was pointless except as an intellectual exercise. In terms of actually changing minds it didn't work because it just distracted them and didn't teach them anything. CALLER: Yeah. So you have to -- it's like you give a person a penny at a time, sooner or later they'll have a dollar. You can't just give 'em a dollar. If you get what I mean by that. RUSH: Okay. So you've done this. How many people would you say that you've persuaded? CALLER: So far I've done about five people. Two of them are now conservatives, but three of them are still moderates. RUSH: They do. Now that's intriguing. Most people won't. They won't want to give you credit. They want everybody to think they're smart enough, they came up with this all on their own. CALLER: Well, they say that I'm a part of it. RUSH: Yeah. I'm sure. I'm sure. Well, man, that's great. You know what you ought to do? You ought to actually -- do you have a presence on social media and all that? CALLER: I actually don't. I don't use social media. RUSH: Ah. Ah. What a breath of fresh air. You might want to consider continuing to do this, document it, and write a book about it or, you know, a fairly lengthy essay. I don't mean like a 400-page, too-heavy-to-carry-around book. But I'm telling you, there are a lot of people, parents especially, who would love to know how to do this. And I think the key that you've -- two things. You've gotta approach 'em emotionally and can't shock, and six months. That means you have to have patience and in that six months I'm sure they're gonna reject you and everything you're trying to tell 'em and they're gonna make it really hard for you to stick with it. But you did. CALLER: Yeah. I actually never considered doing that. I've just been maybe telling a person here or there. RUSH: Oh, so it didn't even start as a project. It's just something you evolved into doing. CALLER: I don't know. I hang out more with guys than I do with girls and the girls I hang out with usually end up being romantic or something like that. RUSH: Usually end up being romantic. You don't want that? RUSH: Well, yeah, you start mixing this stuff with romance and one thing's gonna blow up on you and maybe both. RUSH: Yeah, I got that. And you certainly don't want the romance blowing up on you. That's one of those situations you might sacrifice the conservatism for the romance. CALLER: I have been able to convert two women who were going to college, so I guess it's a plus. 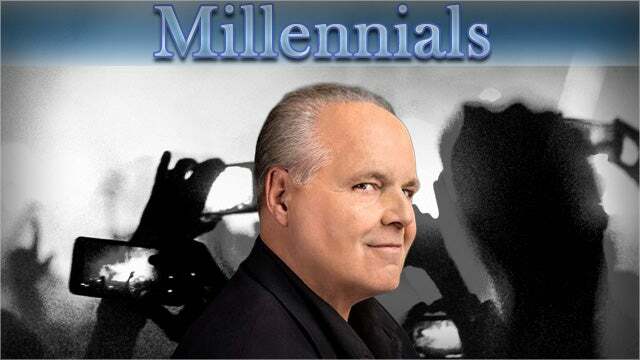 RUSH: -- and women, 'cause they're not the same. Despite what the left thinks, men and women are different. That, by the way, is a very controversial statement on some campi. But look, Andy, I'm serious. If you keep doing this, take notes, make notes on what happened, what people said, and how you overcame, 'cause I'm telling you, there's a ton of people that would love to be able to do this. 'Cause a lot of people really struggle with how to persuade people 'cause they love them, they care deeply about them. They want them thinking about things in the right way, and they want them to turn out as best they can. So I appreciate that. You know, stay in touch with us as you continue this. And as you get out of college, when you start talking to people that are not in college and you try to do this with them, like in workplaces or wherever you meet people, that might require an entirely different approach. But it sounds like you're able to adapt. This is really cool, so I'm glad you got through, I'm glad you called.